Mars Series 77SN Jacketed Ball Valves were recently used to solve a problem for one of our existing food manufacturing customers. It’s the sort of problem our technical team love to solve…so what was the problem and how did we resolve it? Our customer moves chocolate around their factory and heat traces the line to maintain the correct temperature. Heat tracing is used to ensure that additives and fats do not split from the product. However, when it came to isolating and modulating the valves the problem came to light! The valve required for the process would need to be hygienic and cavity filled. A cavity filler or seal eliminates food / bug traps from sticking to the back of, or around the ball. This in turn creates an ultra-pure or sanitary valve. For the chocolate to remain viscous and continue to flow we would need to heat the valve and not rely on trace heating. Trace heating would not be suitable on this occasion. 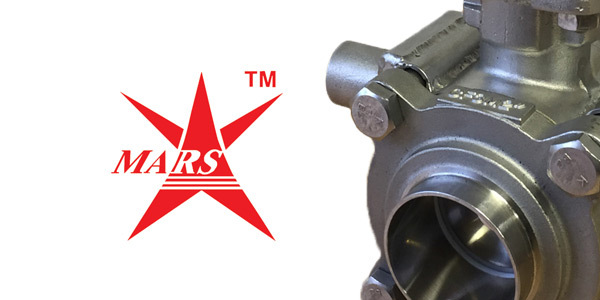 The solution…our Mars Series 77SN Ball Valve! 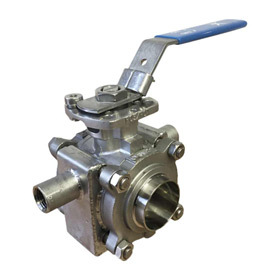 Our Mars Series 77SN Ball Valve is fitted with cavity FDA approved seats, has a fully encapsulated body bolt design and a high neck to accommodate ISO mounting pads for actuation. We opted to fabricate a jacket for our Mars Series 77SN Ball Valveand welded a hot water jacket around the valve - the jacket having both an inlet and outlet for the heating medium (in this case steam). The Series 77 benefits from three-piece design creating a very flexible solution; enabling different end connections to be used including OD Weld and Tri Clamp. To finish we fitted a pneumatic actuator to remotely open and close the valve, solving our customer’s problem quickly, efficiently and on budget. The end result – a happy customer and great tasting chocolate! If you're looking to order jacketed ball valves call our technical team at Valves Online to discuss your requirements in more detail. Fully maintainable, FDA approved valves. Zero leakage, pressure tested prior to dispatch. Large order / volume discounts available. Short lead times with no minimum order required. Visit www.marsselect.co.uk to view our range of jacketed ball valves. Alternatively, call +44(0)1822 855600 or +44(0)161 480 5700 to discuss your requirements in more detail.